This entry was written by Wes Modes, posted on December 29, 2008 at 1:24 am, filed under Adventure, Journal, Life, Wanderlust and tagged Adventure, crab, epiphany, heartbreak, motorcycle, road-trip. Bookmark the permalink. Follow any comments here with the RSS feed for this post. Post a comment or leave a trackback: Trackback URL. i spent a few days in bandon, oregon. i spent a few days during the honeymoon from hell, wrapped up in a blanket, sitting next to an electric baseboard heater, freezing and sweating with fever in bandon, oregon. i wrote thank you notes for wedding gifts in bandon, oregon. for a wedding i didn’t want to attend and a marriage i knew was wrong in bandon, oregon. 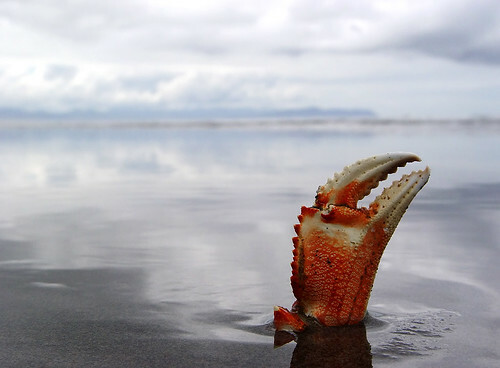 but i never ate crab in bandon, oregon. check out my blog at http://bijoublog.wordpress.com/.